This is a pack of two Pro-Line Hoosier Super Chain Link Dirt Oval 2.2" 2WD Front Buggy Tires, with included Closed Cell Foam Inserts. Fully licensed by Hoosier, these Hoosier Super Chain Link 2.2” 2WD Front Buggy Tires were specifically made for Dirt Oval racing! The Hoosier Super Chain Link tread pattern not only looks amazingly Scale but the tire also offers the same High-Performance as full-size tires, so you can have realistic style and performance on your Sprint Cars or any 2.2" Buggy Tire application. And just like the full-size Hoosier tires, these Angle Block tires proudly display White Hoosier Logos on the sidewall! To make it easy on race technical inspection during spec races, Pro-Line has molded in Compound Identifiers into the Sidewall of each tire. 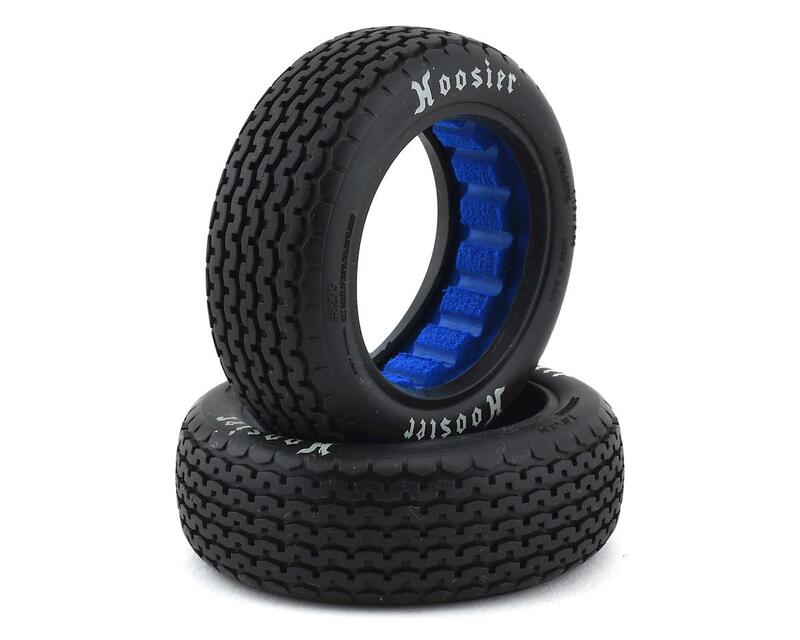 The Hoosier Super Chain Link 2.2” 2WD Front Buggy Tires feature rounded side tread for consistent slide action that will not catch ruts and flip your truck when you throw it up into the corner. The Hoosier Super Chain Link tread pattern creates excellent steering combined with long lasting and consistent performance. The Hoosier Super Chain Link 2.2” 2WD Front Buggy Tires and every other tire that Pro-Line makes is proudly Made in the USA! 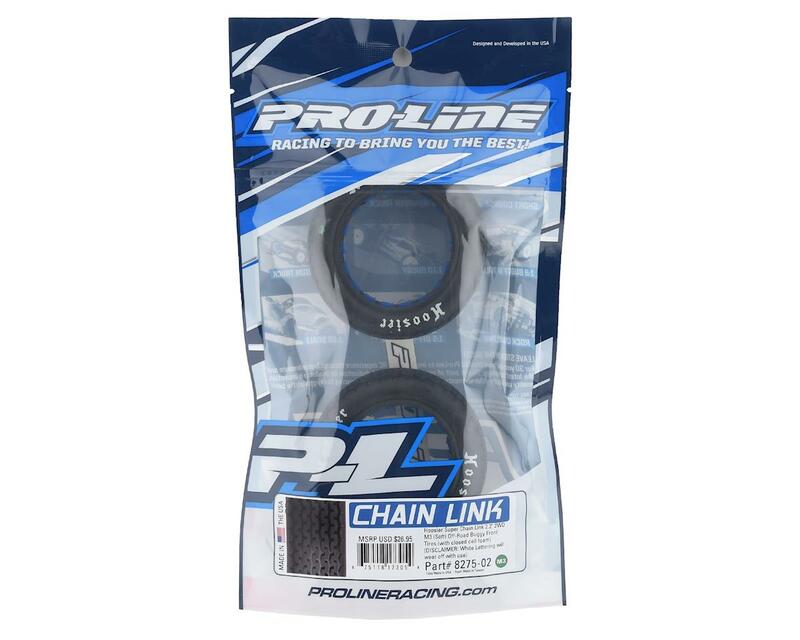 Throw down the inside pass on your racing buddies with Pro-Line's Hoosier Super Chain Link 2.2” 2WD Front Buggy Dirt Oval Sprint Car tire!